Last Month, Sitecore released the Update 1 for Sitecore 9 and it was such an excitement to read through the release notes, to see the amazing things coming up as a part of the Update 1 release. There are some great updates regarding Email Experience Manager, Marketing Automation, Marketing Foundation and a number of resolved issues, making the product more stable than before. Do you want to know what all is released along with Sitecore 9 Update 1? Oh, then you are at the right place! 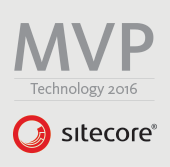 First and Foremost – the biggest thing is EXM is now a part of Sitecore. Yes, you read that right! EXM is now included as Sitecore’s integral product and we do not need to install it as a separate module. Which means, for future releases, we do not need to worry about the EXM upgrades and they might be getting done with Sitecore updates or upgrades. 137520: All custom EXM events now use the xConnect event model. 123846: The Marketing Automation Engine now includes a configurator that automatically scales the number of pool workers based on the current machine. This removes the need to manually configure more workers. ​You can now set a campaign start date to schedule automatic campaign activation. 178649: Caches may be corrupted due to a race condition in SqlDataProvider.GetPrefetchData. 185484: When search runs in the Content Editor, a NullReferenceException can occur in the log file when the IsDisplayedInSearchResults[master] cache is populated. 192365: In some cases, the Dispatch completed notification email is sent even when the dispatch has not completed. 186028: The Personalization dialog does not show data when Sitecore is set up in mixed mode. Mixed mode is when the Processing server is deployed in the Cloud and the Content Management server is deployed on premise. This error occurs because in mixed mode, the Processing and CM servers use different Master databases.